Many of us dream of getting behind the wheel of a Ferrari. 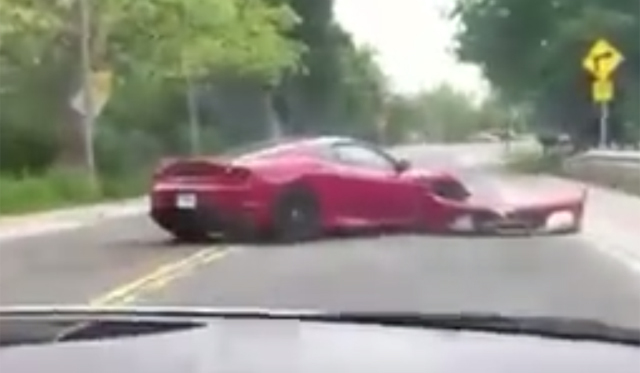 A Canadian did just that a few days ago when he decided to take his rental Ferrari out for a little spin. According to GT Spirit, the Canadian had rented the F430 from the Exotic Car Tours. The results were less than satisfactory. No doubt being Canadian, apologies followed. A Ferrari F430 has an MSRP of just over $150,000.